Thandi was poached. Hope was poached. #72 was poached. Right? Not according to the South Africa government. 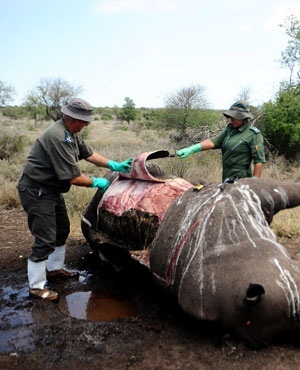 Recently Saving the Survivors lost #72, a bull who was shot several times and died as a result of his injuries. 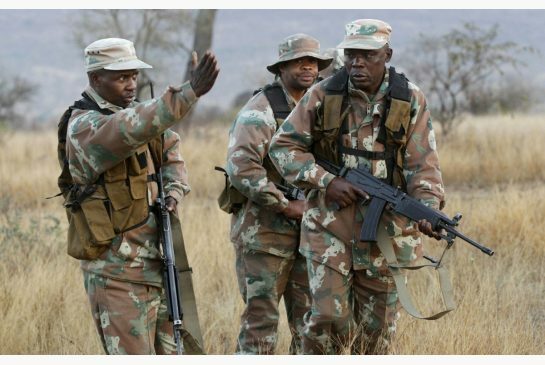 His autopsy showed the bullets from his poaching ordeal ricocheted inside his body. His vertebra was damaged, and fragments of shattered bone were found throughout his body, creating more internal injuries…. he had an abscess below his vertebra, and only had 75% lung capacity as his lungs were punctured. As a result there was internal bleeding. Organ and tissue degeneration were evident, signs that his system was in the process of shutting down. The painkillers we administered during his treatments made it possible for him to walk, and offered him some relief. It’s evident that no amount of input from the medical team would have changed the eventual tragic outcome. Yet #72 is NOT a poaching statistic. 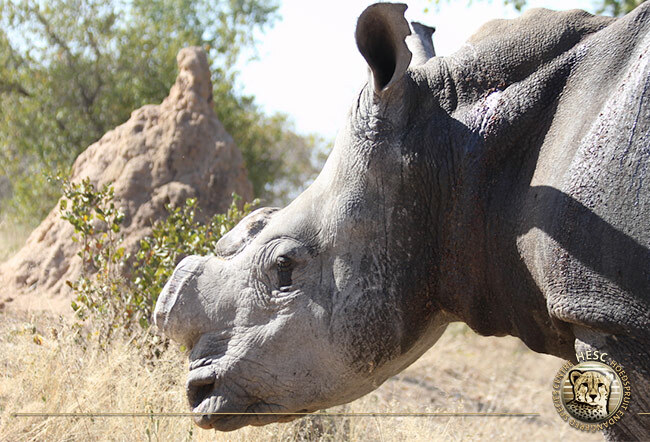 Hope didn’t die, but they took her horn; yet she is NOT a poaching statistic either. 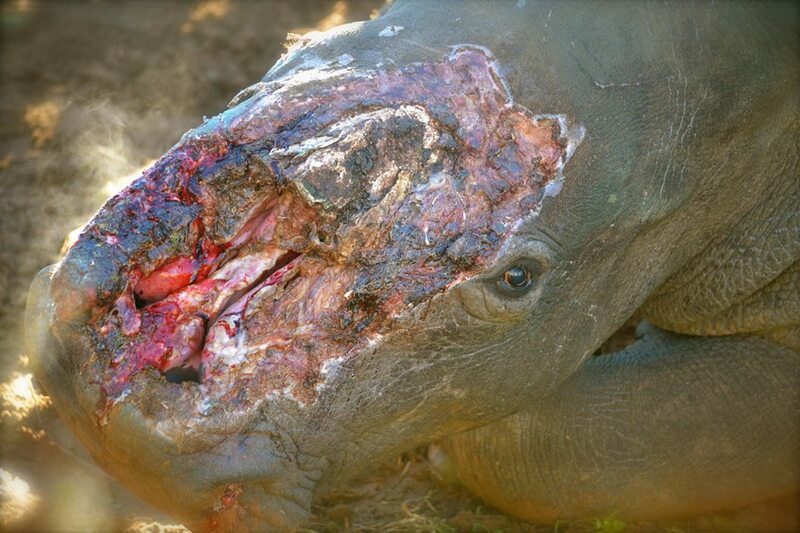 Hope-she lives, so she is not considered poached. 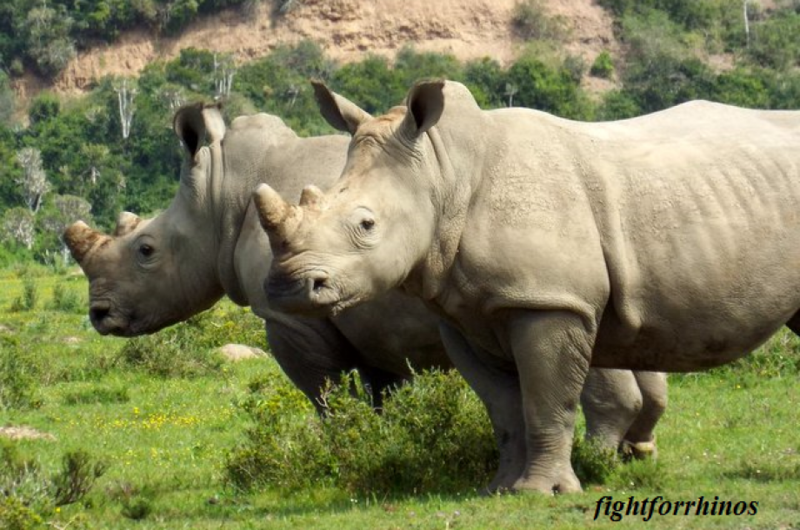 To put it simply – if a rhino is killed in a poaching incident but they do not take the horns – it will not be listed as a poaching statistic. Any baby (calf) that is killed during a poaching of his mother (cow) does not form part of the statistics. The government refuses to publish the exact numbers of poachings, claiming it takes too much time from their busy schedules. 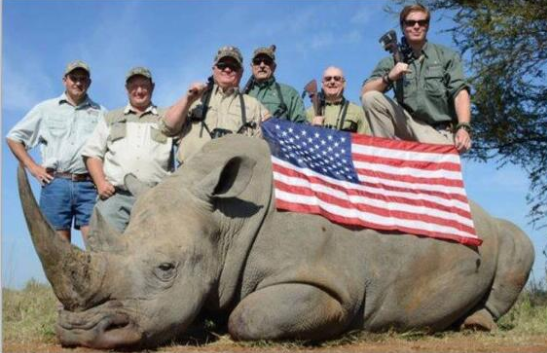 In addition, obviously their very definition of poaching is questionable. Poaching: to illegally hunt or catch (game or fish) on land that is not one’s own, or in contravention of official protection. This is the literal definition the government utilizes. Yet surely in these desperate times it does not apply or accurately reflect the crisis at hand. The figures that you get are terribly skewed. 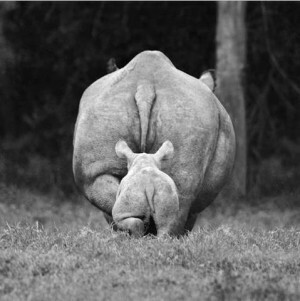 That is why it is critical for every rhino, no matter the expense, to be saved. We are losing them faster than you think. What are your thoughts on this? 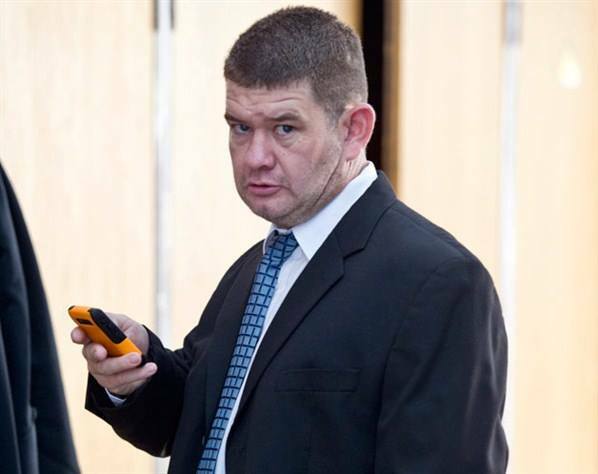 This is the face of an alleged poaching kingpin. 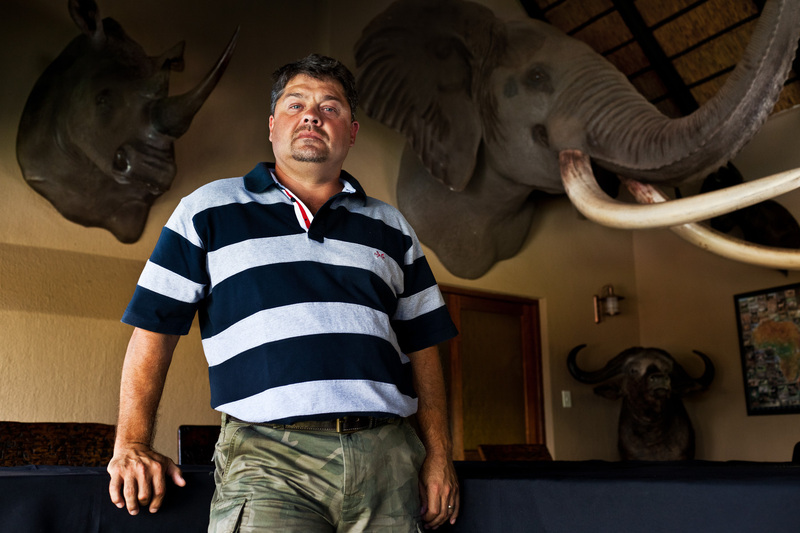 This piece of work was arrested in 2010, along with eleven conspirators including his wife, two veterinarians, and professional hunters; in one of the largest poaching ring busts in South Africa. 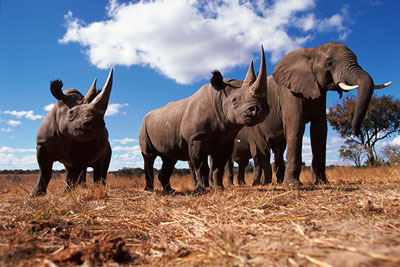 The group is believed to have killed hundreds of rhinos for horn trade, selling at least 384 horns over a 4 year period. 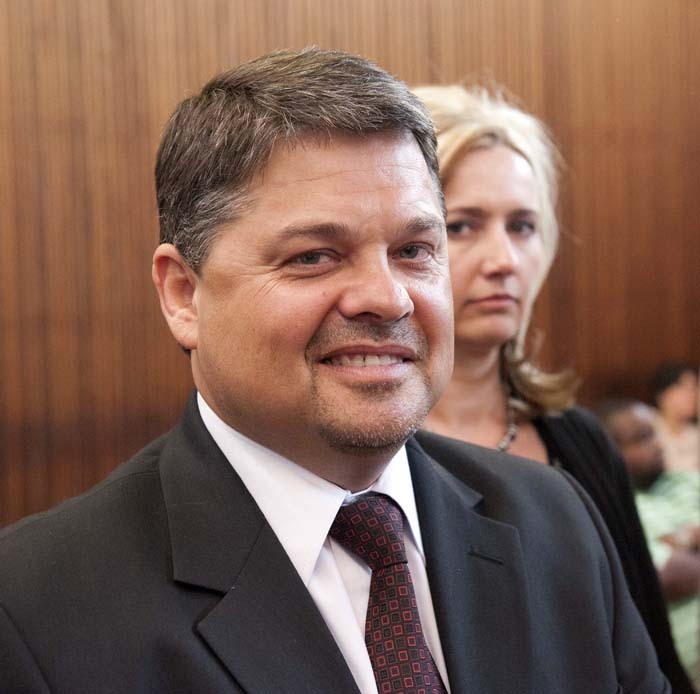 In a 700 page indictment, the state’s case includes over 1800 charges of racketeering, illegal hunting, rhino poaching and fraud against Groenewald. The prosecution also has a lengthy list of 200 witnesses set to testify against him. 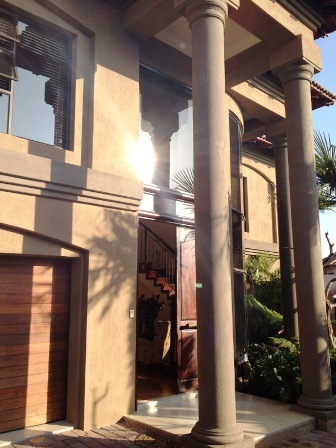 Police seized $6 million of assets, including a helicopter and luxury cars, only to return them in 2013 as it was deemed an unlawful seizure. 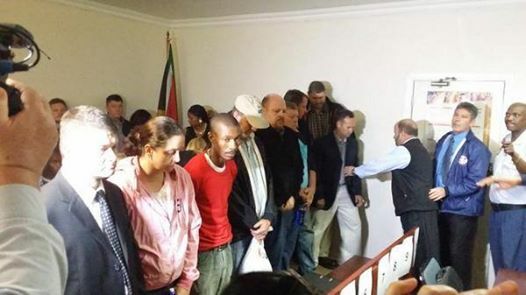 After several postponements, the court date of 21 Jul, was yet another delay. The new trial date is set for August of 2015. 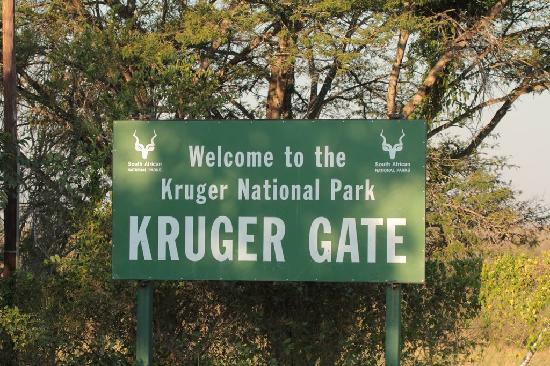 With the blood of hundreds of rhinos on their hands, the “Groenewald Gang” as they have been referred to, remains out on bail. 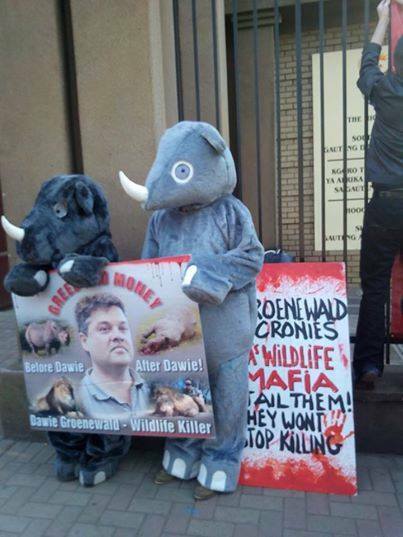 Rhino advocates from OSCAP outside of court. The price of ivory on the black market is approximately $900 USD per lb. An average sized elephant tusk weighs approximately 25 lbs. 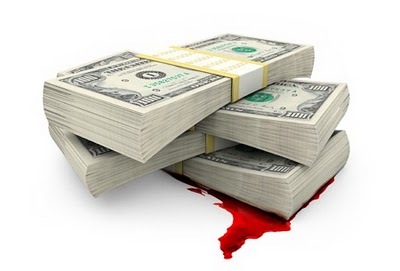 So suppose for one elephant death, the poacher is holding a valuable haul of $22,500 USD. 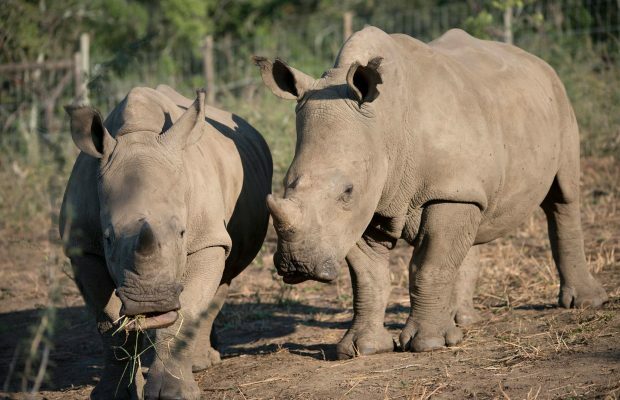 An even greater treasure, a single rhino horn fetches $300,000 USD. In April of 2013, a Chinese man was caught with 439 pieces of ivory. His punishment? A $300 USD fine (that’s less than $1 a piece). As many poachers are multiple offenders, assuming this man got away with it at least once before, he’s already ahead, and only has to face a minor inconvenience. Some are even luckier. 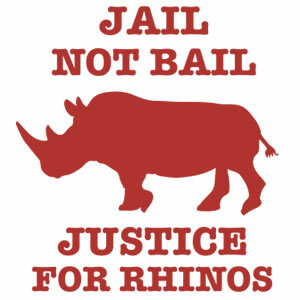 There are 2000 poaching arrests a year, but only 10% are actually taken to court. The burden of proof lies within the courts, and unless caught “red-handed”, the perpetrators usually walk away. 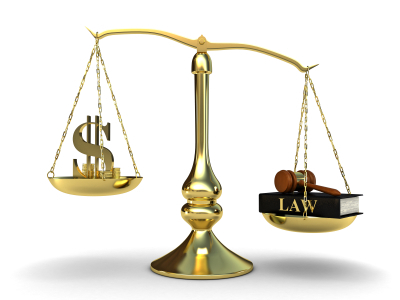 Bottom line: profit outweighs risk. Kenyan Wildlife Direct Director Dr Paula Kahumbu states many magistrates and prosecutors do not know the importance of wildlife, hence the light sentence against perpetrators. They are only being given 10 years/$470 USD fine (maximum). But the reality is they are allowed off after the fine is paid. Thus, the poacher is free to poach again. 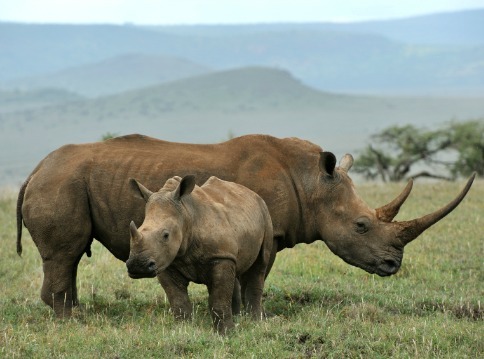 Kenyan Wildlife Services has appealed to Parliament to pass the Wildlife Bill ,which has stiffer penalties including jailing poachers without the option of fines, a seemingly more logical deterrent. It would also slow down the incidents of repeat offenders. 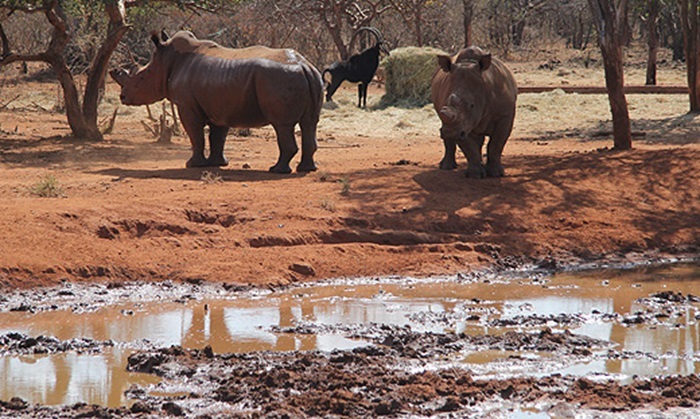 “The Bill has been lying there and it is high time our legislators passed it if we have to protect our endangered species,” said KWS officer Robert Njue. 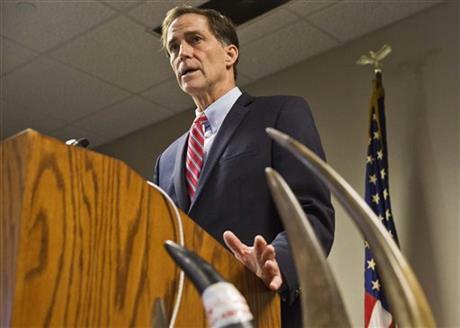 Kenya is not the only country facing the issue of leniency toward poaching. Uganda, Gabon, and Tanzania are also guilty of minimal, insignificant sentences.